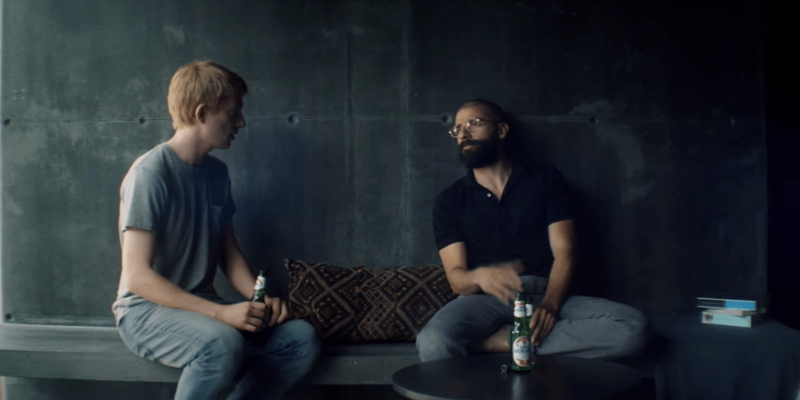 Ex Machina is a movie that will stay with you after the credits have rolled. It does this for a few reasons. First of which is the story. 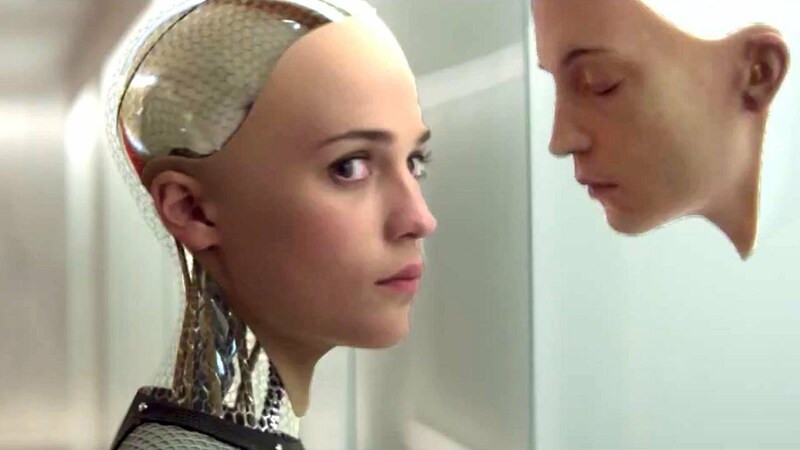 Ex Machina manages to create an immersive and compelling story with just three principle characters. There are other supporting players but for the most part just three people link in this story. This is no mean feat as it requires the characters to be interesting enough to hold the tale, as well as have meaningful and believable interactions. This is made doubly hard when one of the characters is a robot. Alicia Vikander plays Ava. Although she doesn’t have to move in a wholly robotic fashion, there is an emotionless, almost rigid quality to her performance to makes you believe she is a robot, designed to be perfectly passable as human by billionaire and eccentric, Nathan played by Oscar Isaac. The story is focused on whether Domhnall Gleeson is convinced Ava is “human;” meaning she has perfect AI and could fool a human being. This is just the beginning of the tale that twists, turns and becomes darker as each revelation is unfolded. It is a story about being a human, something that has been tackled many times before, by many other directors, but here writer/director Alex Garland manages it with just three people. It helps that these performances are fantastic. The actors are forced to cover the whole spectrum, from drunk and merry, to tense, nervous, anger and desperation. The movie is about their interactions, never as a three but with each pair, mostly Gleeson and Vikander. Gleeson and Vikander’s conversations form the central core of the film’s plot. This isn’t a movie with a lot of action which makes it much more interesting. This is a movie where people are “tricking” each other and the idea of who you can trust and what you can believe comes to the forefront. Clues are placed in front of you but it is up to the audience to piece together the puzzle, leading to the thrilling conclusion. The conclusion is the other reason the movie will stay with you after it’s end. This film does become something darker and the resolution to the story is one that will raise questions. Those questions will be philosophical for some but for others it will “how?” or even “what would I do?” as the final actions of the people involved become clear. Up to that conclusion, this is all about the three performances at the center of the movie. All three of these actors have begun to move onto bigger and bolder things in their career, with Gleeson and Isaac now part of the Star Wars Universe and Vikander an Oscar winner but you can see the start of Hollywood fame and acclaim in the performances demonstrated here. 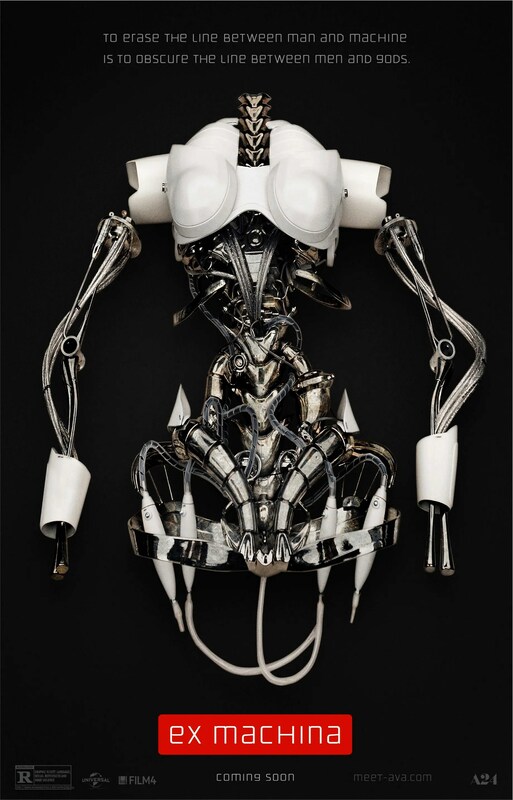 Overall, Ex Machina is a movie which will make you consider being “human” and what it is to “think” as well as reflect on the situations of the principle characters at the finale of the film. This is down to the excellent writing of director Garland as well as the three performances of now superstars; Gleeson, Isaac and Vikander. The Oscar Isaac dance sequence might’ve been the most memorable movie scene of 2015 for me. So fun. Really enjoyed the entire film overall. Gets better upon repeat viewings as well. I did love that dance sequence. He oozes cool in that scene. No doubt. And now he’s rumored to be in Alex Garland’s next film too. I can’t wait to see what he does opposite all of those great women in Annihilation. Great review! I thought this was a really interesting piece of Sci-Fi. Oscar Isaac and Alicia Vikander were truly superb, and I’m a little surprised why Vikander didnt win for this performance instead of the one she gave in The Danish Girl.But still, really interesting stuff. Cant wait to see what Garland does next. It’s an odd movie. But it’s the right kind odd that I wish to see more of. Nice review. That’s true. The unusual element of it is a big selling point. Yeah, a really good one. I like how it was different from much else released too.